The Sandberg California TM5 RW Lake Placid Blue High-Gloss is a 5-string bass with versatile sounds and a vintage touch from the master luthiers in Braunschweig. 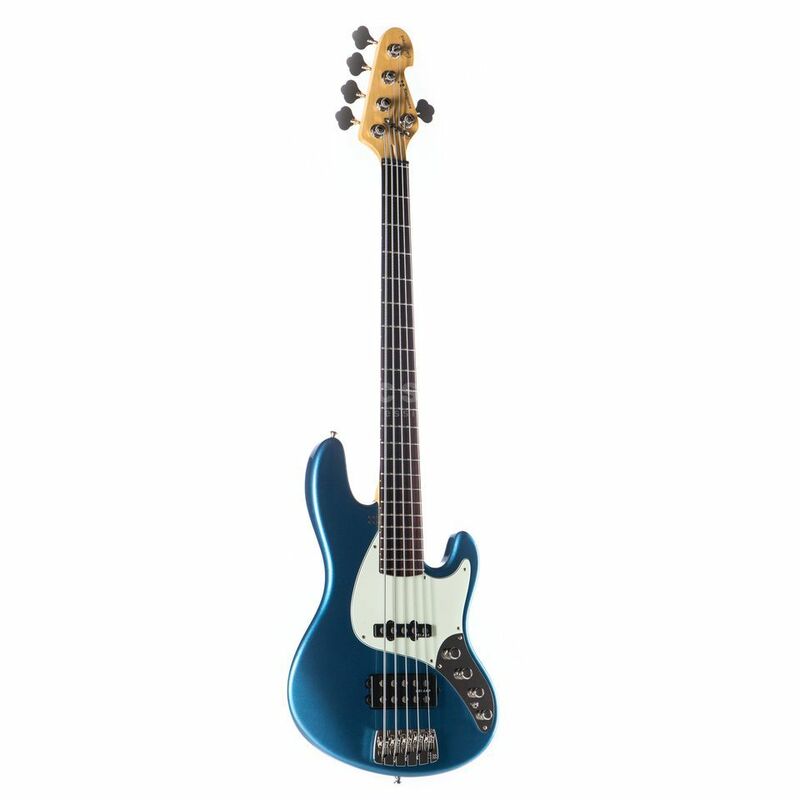 The Sandberg California TM5 RW Lake Placid Blue High-Gloss is built from quality alder, a maple neck is attached with 6x bolts and crowned with a rosewood fingerboard making a fat primary sound with snappy attack and rich sustain from the lowest note to the highest. The comfortable “C” profile neck ensures easy and accurate playing for hours on end. Delano pick-ups were chosen for their versatile sound spectrum and recognizable vintage nuances. The blend control allows you to combine both pick-ups together for a broad range of tonal options. The Delano M-style humbucker is rich with full low-end and pairs exceptional well with the bold but transparent sound of the Delano T-style single-coil. Active 2-band tone control and split switch ready for the humbucker to get authentic single coil sounds. High-quality hardware is a given when you purchase a Sandberg instrument and the California TM5 Lake Placid Blue High Gloss is no exception. The bridge is a Sandberg Bridge 5 whose solid construction gives an even sound to all five strings. The strings are fed over a zero collar and saddle to the tough waring Sandberg Machine Heads.